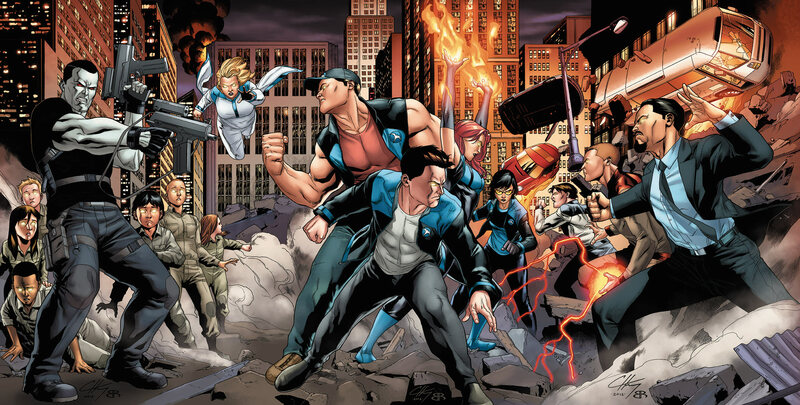 Sony Pictures’ “Rogue Warrior: Robot Fighter” cast & crew chat sci fi & more! Rogue Warrior : Robot Fighter is a science fiction film set in the distant future depicting the overthrow of humanity by A.I. (artificial intelligence) on Earth and other worlds. A hyper-weaponized robot army known as A.I. Scourge is bringing down cities, but rebellious robot fighting arms dealer Sienna (Tracey Birdsall) leaves Earth on a mission to find the mythical weapon that can neutralize any form of A.I. and take down the evil empire of robots. Out in select theaters now, I had the opportunity to chat with the film’s director Neil Johnson along with cast and crew at Comic Con, the Action On Film International Film Festival, and the Los Angeles red carpet premiere. Alone Together – In Space Trailer: Passengers! Chris Pratt and Jennifer Lawrence star in Columbia Pictures’ PASSENGERS. A malfunction awakens two passengers on a spaceship in the midst of a 200-year journey. As they try to find and repair the malfunction, they begin to fall for each other – but their troubles are only beginning. Passengers – starring Jennifer Lawrence and Chris Pratt – opens December 21st. Check out the first trailer after the break. Antoine Fuqua’s The Magnificent Seven is the opening day film for the Toronto International Film Festival and will premiere in theaters on September 23rd. The remake of the classic western stars Denzel Washington, Chris Pratt and Ethan Hawke. Sony Pictures has just released a series of teaser clips from the film – along with a look at some of the cast on set. check them out after the break. One Ticked Off Death Dealer Trailer: Underworld: Blood Wars! Selen is back in action! Underworld: Blood Wars opens on January 6, 2017. Check out the international trailer after the break. A Matter of Perspective Trailer: Spectre! 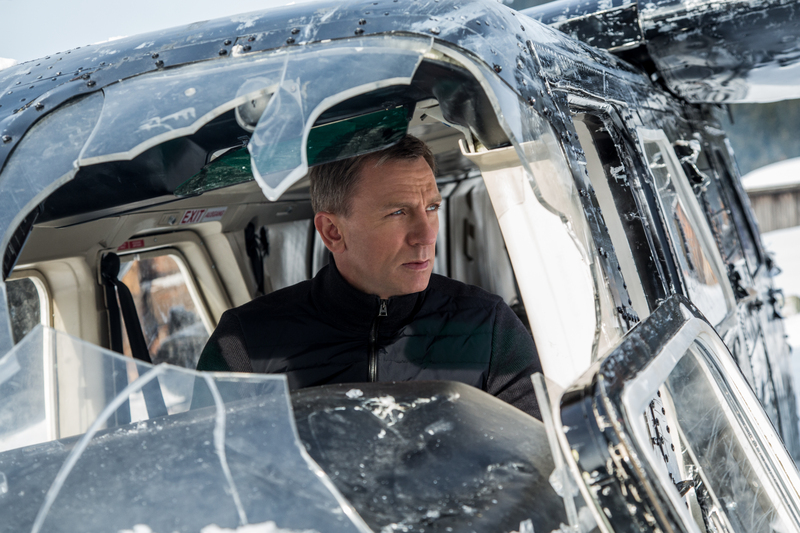 The final trailer for Spectre has arrived and is as cool as we’ve come to expect from a Bond trailer. It features a key point of debate as well as a wee bit of new footage. Check it out after the jump. Spectre opens on November 3rd. Ghostbustbusters’ Stay-Puft Marshamallow Man Wishes Al Roker Happy Birthday! 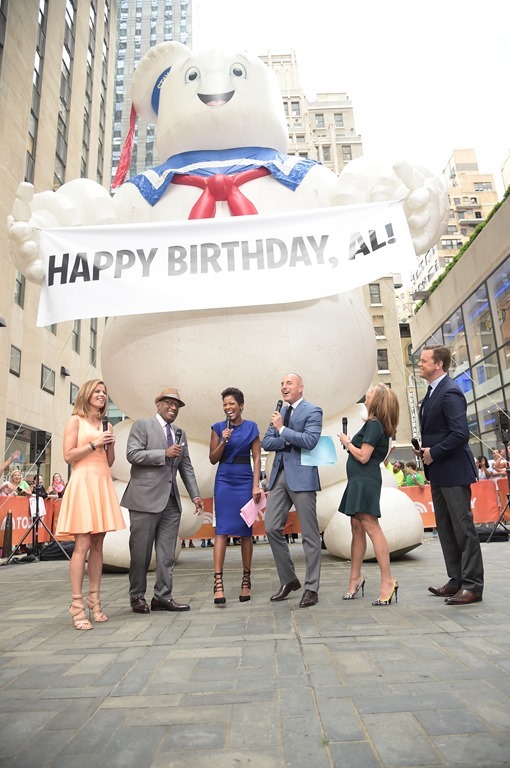 The Stay-Puft Marshmallow Man visited – which is to say ‘towered over’ – the Today Show crew to wish Al Roker Happy Birthday. I mean, who you gonna call? Right? That’s one heckuva way to set the stage for the 30th anniversary theatrical re-release of Ghostbusters (August 29th) following National Ghostbusters Day (Thursday, August 28th) – not to mention the upcoming Blu-Ray Anniversary Editions of Ghostbusters and Ghostbusters II on September 16th. For more on the theatrical re-release and the Ghostbusters 30th Anniversary Blu-Ray Editions, follow the jump. In an evil Green Goblin Broadway voice, sing with me, Spider-Man, Spider-Man, radioactive Spider-Man. After receiving lukewarm reviews from most and a downright hateful one from yours truly, The Amazing Spider-Man didn’t exactly set the world on fire. They have a lot to live up to in the bigger budget sequel and are clearly betting the whole friendly neighborhood on it being a smash. The entire cast from the first film returns for the sequel, but then that’s not saying much as it wasn’t a particularly big one to begin with. The rumors were true. Sony confirmed that yes indeed The Amazing Spider-Man is now an official “universe.” There will be two spin-off films – Venom and The Sinister Six. After this big announcement Sony pictures surprised the crowd at CinemaCon by giving the audience a 30-minute taste of The Amazing Spider-Man 2. The three clips showcased an arc in the film.